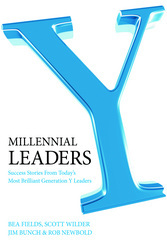 “Do you speak to organizations on how to recruit and retain Gen Y”? I do indeed speak on this subject, and I want to start by posting some basic information. As I hear this question, I often respond by talking about the article recently published by the Great Places to Work institute on Google.Â I am then met with the response which says “Well, we don’t compete with Google”.Â This mindset has to change if you are going to start competing in the war on talent. You see, simply because you are a 10 person mortgage, insurance or temporary agency does not mean that you are not competing with Google.Â The goal here is to look at what some of the larger organizations like Google and McKenzie are doing in order to attract the best and brightest young talent coming into the work scene. 1) Recruits are looking to be tomorrowâ€™s leaders. Provide them with opportunities to advance and move globally will be a means to that end. 2) Recruits want to know that your company is aligned as a team around the company’s vision and mission. The worst thing you can do in a job interview with a young recruit is to bad-mouth or roll your eyes about a fellow employee. 3) Young recruitsÂ want to know that you know about them , their lives andÂ their roots. One of the best steps you can take as a company recruiting a young, talented Gen Y leader is to educate yourself about their college, their college sports team, their hometown, their interest, all the while adding in names of people you know who they know into the interview process (commonality is always attractive). 4) Young recruits want to know there is room for advancement in the company with the perks that go along with it. They also want to know what steps they will have to take to get there. 5) Drop the â€œyou have to pay your duesâ€ conversation and the â€œGen Y is entitledâ€ mindset. Talk with them about their aspirations in life, where they are going and how you can help them get there.